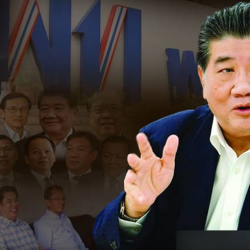 The rival attempts by Palang Pracharat and Pheu Thai to cobble up a post-election coalition government promise to be a lengthy and messy political endeavor. Both camps in the political divide, one led by Palang Pracharat and the other by Pheu Thai, will be engaged for days, if not weeks, in intense lobbying in a bid to get smaller parties to their sides so they can form a post-election government. Pheu Thai was reportedly faster off the block, making calls to the likes of the Democrat Party, its former bitter rival. 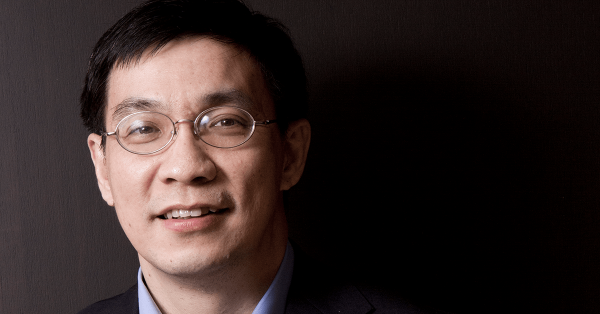 Despite being humiliated in Sunday’s election and having Abhisit Vejjajiva resign as its leader for the poor poll performance, the Democrats have apparently emerged a potentially effective kingmaker. Taking the Democrats out of the equation, election results show a virtual deadlock between the Palang Pracharat camp and the Pheu Thai-led alliance. Neither appears able to gather enough seats to form a clear-cut majority and form a stable government. This is why what the post-Abhisit Democrat Party decides to do will be crucial. A key reason for the Democrat poll humiliation was Abhisit’s ambiguous stand that was considered to be anti-Palang Pracharat. Joining the Pheu Thai camp now will be nothing short of explosive, something that could further alienate people supporting or used to support the party. Some analysts say Abhisit’s decision to quit the party’s helm can “unlock” the door toward Palang Pracharat. They also point to a 2010 vociferous red-shirted protests that saw Bangkok streets blocked and a Democrat-led government badly rattled. But chances of the Democrats joining Pheu Thai to prevent incumbent Prime Minister Prayut Chan-o-cha, Palang Pracharat’s prime ministerial nominee, have never really been ruled out, not least because Abhisit spent more pre-election time lambasting Prayut than Pheu Thai’s de facto patriarch, Thaksin Shinawatra. Reports suggested Thaksin had vowed to fight until the end to get Pheu Thai enough support to form the next government. 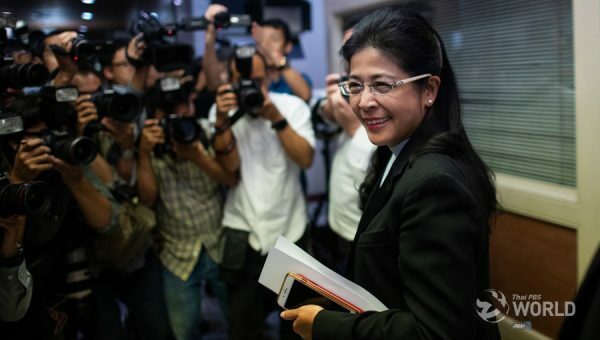 Pheu Thai faces a tough task, however, because Thaksin’s controversial activities recently, which included the nomination of Princess Ubolratana as prime ministerial candidate of the Thai Raksa Chart Party, considered a virtual “branch” of Pheu Thai. Palang Pracharat was quick to suggest it was ready to build a coalition, only to turn silent when constantly-updating election results turned in Pheu Thai’s favor. 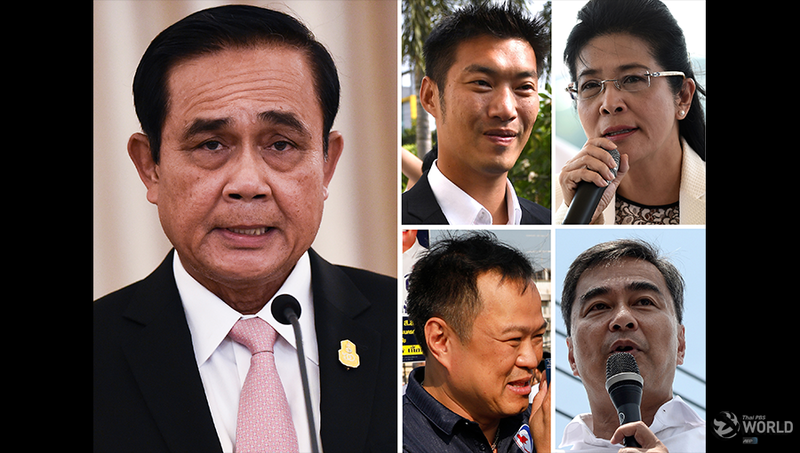 However, the party must be hoping that controversies plaguing Pheu Thai lately will eventually make mid-sized and small-sized parties decide against joining the Shinawatra camp. There was an alleged Shinawatra approach toward Bhumjaithai leader Anutin Charnvirakul after the election as well. Bhumjaithai was said to be very uneased by recent reports concerning the wedding ceremony of Thaksin’s youngest daughter in Hong Kong, attended among others by Princess Ubolratana. Yet the alleged contact was rumoured to carry a very tempting offer, which could give Anutin a very high government position or even the premiership. The “new star”, Future Forward, is a party that will definitely side with Pheu Thai. 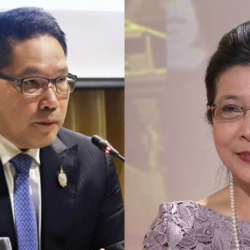 Its leader, Thanathorn Juangroongruangkit, has said after the poll that although Pheu Thai’s prime ministerial candidate Sudarat Keyuraphan is not an MP because Pheu Thai has not won a single party list seat, he was ready to support her as prime minister. 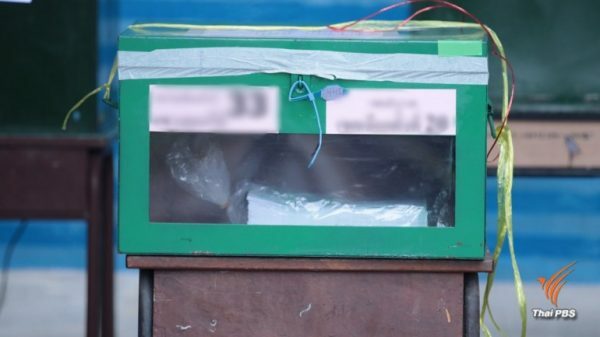 In addition to the uncertainties surrounding the Democrats and Bhumjaithai, smaller parties, with numbers of seats ranging from one to probably six, will certainly be involved in potentially ugly horse-trading. This is because although Pheu Thai has emerged with the biggest number of seats, the margin of “victory” is smaller than expected. This is not to mention the fact that Palang Pracharat actually won more votes nationwide than Pheu Thai, which makes it more politically sensible for the latter to gather a convincing House of Representatives majority, as a small majority will be risky and can raise some “legitimacy” questions.